One from the archives today, we have ‘The Shortest River’. Located in Gisborne, on the East Coast of the North Island in New Zealand, the Turanganui river is said to be the shortest river in the Southern Hemisphere. At a puny 900m (.56 miles) long, it cant be far off. My photo must account for almost 1/3 of the river! Length aside, this area of New Zealand is also famous for being the first landing spot of Captain Cook – the first European/British explorer to circumnavigate New Zealand. Captured on the little Fuji j15, I cropped, pushed saturation and added a cross processed filter all in Gimp. 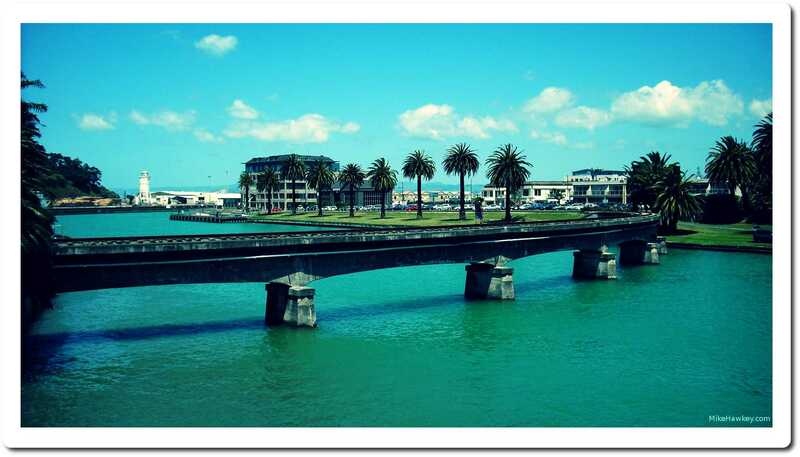 The saturated colors reflect my memory of Gisborne when I visited during the summer time about a year and a half ago.